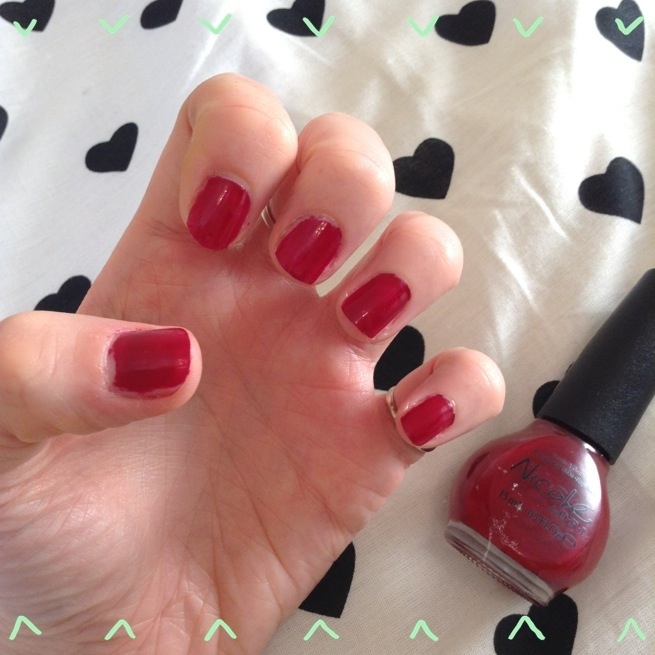 I love OPI and I love the Kardashians, so it’s no surprise that I absolutely ADORE this week’s Midweek Manicure nail polish! Sealed With A Kris is part of the Kardashian Kolors range in collaboration with Nicole by OPI and is every bit as glossy and glamorous as everyone’s favourite Momager! Love her or loathe her, there’s no denying Kris Jenner’s nail polish is to die for! 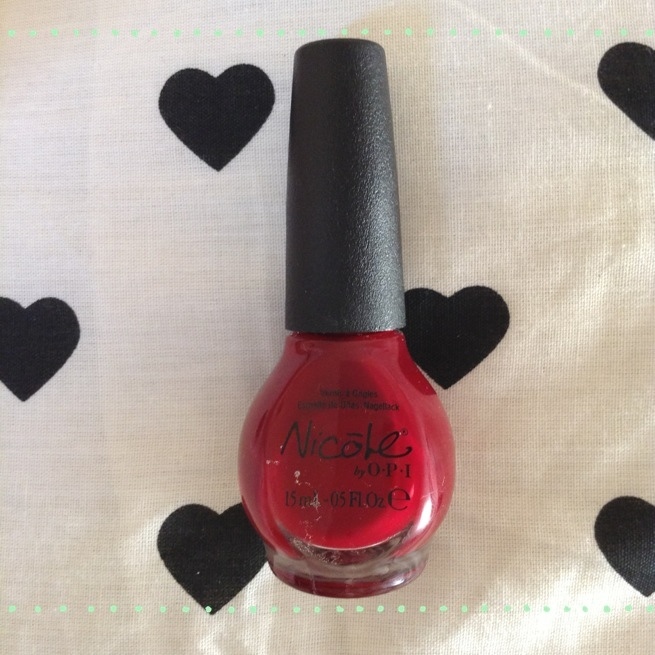 Nicole by OPI is the little sister brand of OPI and does lots of celebrity collaborations, including Justin Bieber, Selina Gomez and the Kardashians. They retail a little bit cheaper than standard OPI polishes, but the quality is just as good. Sealed With A Kris is no different, and the dark glossy colour leaves your nails looking really elegant and well preened. Sealed With A Kris is a gorgeous deep red berry colour which is absolutely perfect for work, fab for dressing up and will also be amazing at Christmas time! It’s slightly lighter on the nails than it appears in the bottle, but could always be built up to reach the rich darkness as required (I used two coats). 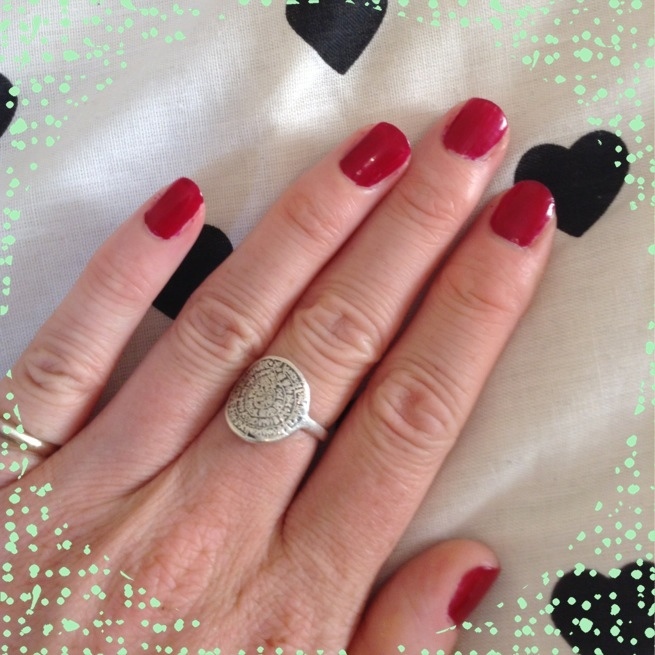 I often shy away from red nails as think its a bit too vampy for me, but this is a very wearable shade – bold and fun yet sophisticated. 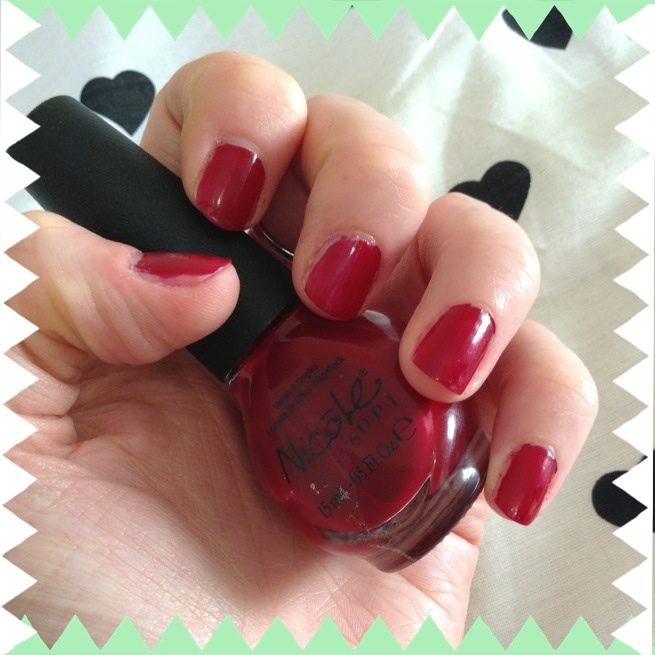 I find Nicole by OPI polishes really easy to apply as the brush is always lovely and wide, and the lid is quite long, so easy to hold and you don’t have to worry about dropping it (I’m looking at you Nails Inc lids!!). Sealed With A Kris is quite thick and almost creamy in cosistency, so glides over the nail easily. I found I had a few slightly bald patches, but nothing that wasn’t fixed with a second coat. I have noticed a bit of tip chippage with this polish, but I did forget to put a top coat on and my nails are extra brittle at the moment, so that could be down to this, as I don’t usually experience much chipping with OPI nail polishes. I also always notice chips more on a darker colour too, obviously. I will definitely be getting a lot of wear out of this polish as it applies well, dries quickly and really is perfect for all occassions. A great way to bring a bit of Kardashian glamour to your lives! Do you own any of the Nicole by OPI Kardashian Kolors kollection? What’s your favourite shade of red? Next Post Lifestyle | The 90's Tag!